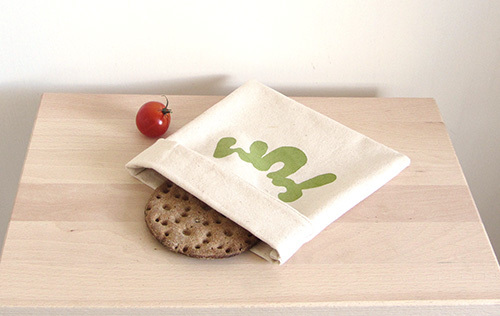 Here is the latest addition to my Etsy homeware shop: reusable sandwich bags featuring a smiling YUM text. I first made some of those for my kids because with one lunch box a day there was a lot of room for improvement. So now instead of using one plastic bag a day (forget cleaning and reusing them: they NEVER bring back the plastic bag, however not nicely I ask) we now have a bunch of reusable bags. When we feel they are dirty, we just shake the crumbs and pop them in the wash with other kitchen towels and napkins. 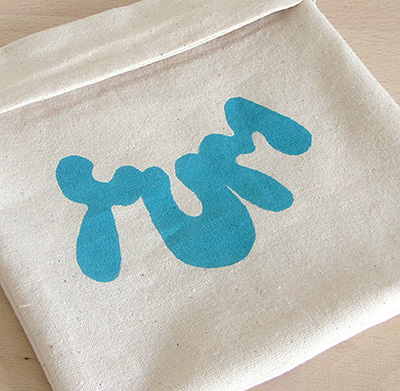 Size and text have been adjusted to make a more attractive bag. They are now available in leaf green and turquoise blue. They can be closed with a flap at the top. I plan to make some more with new designs because they are so much fun to make! I spent most of last week (and the week before) on these babies. So now as a treat I am heading to the Handmade Harbour to see what everybody else is up to. What a fantastic idea,my little one has just started having a packed lunch and this is a great and eco-friendly way to store her sandwiches. Thanks for sharing. Thanks Lucy, I was inspired by my kids as for lots of my other products. What a brilliant idea. They look wonderful and your saving the planet. Yep Ali, I love when things look nice AND are useful AND eco-friendly. That’s a great compliment for me. Thanks for your kind comment. I also believe in reusable. 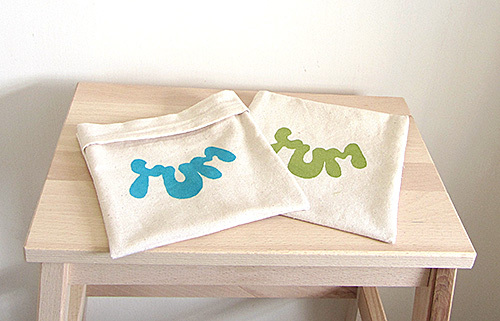 These are very cute – what a great idea! Thanks, I appreciate your visiting and leaving a lovely comment.